It’s cozy, sophisticated, and timeless! 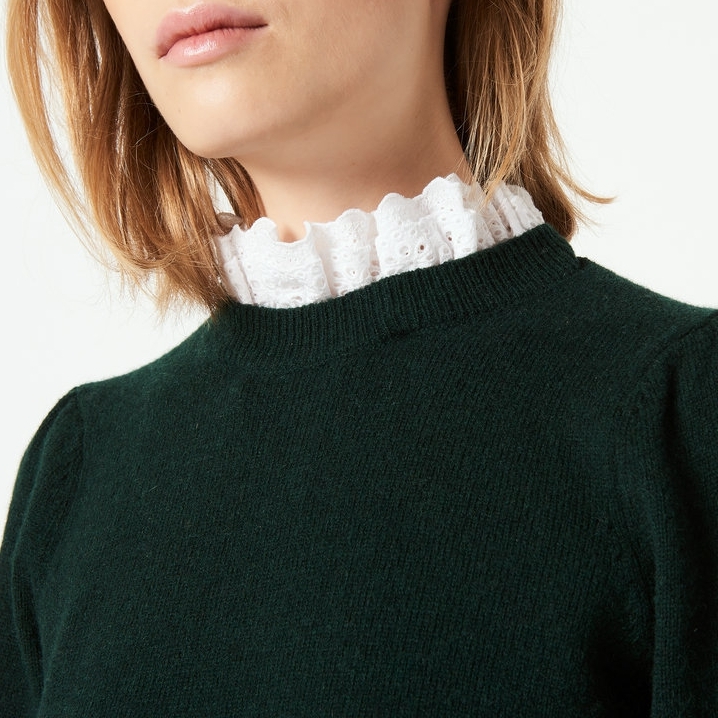 This Sandro Ancolie Sweater Dress is an updated winter wardrobe essential featuring a contrast eyelet ruffle collar, a straight long-sleeve mini silhouette and wide ribbed trims. It exudes Parisian chic at its comfiest. 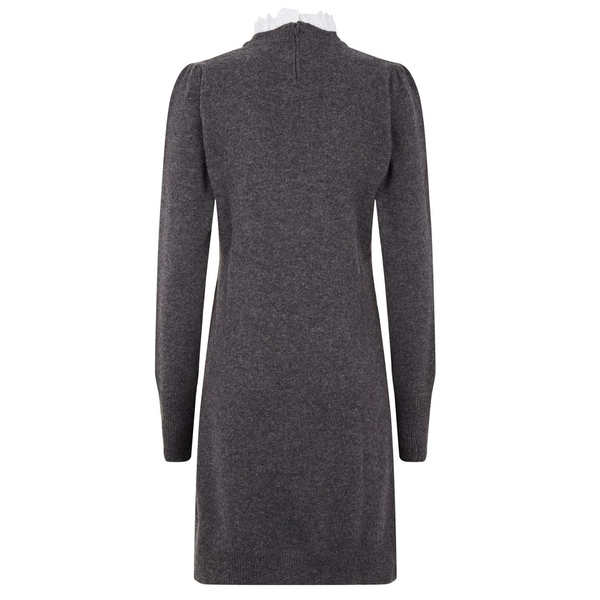 It has an androgynous feels and will definitely become part of your smart casual urban closet. 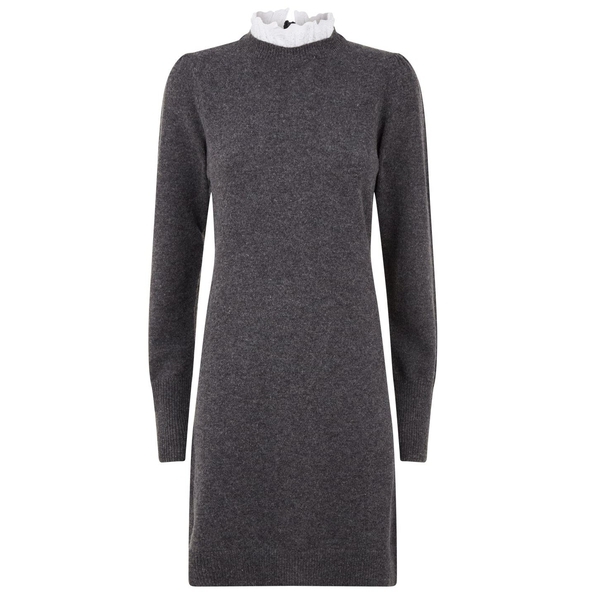 You can wear it with ankle boots, a hobo bag or a tote, and a wool coat on busy mornings. Style it with bold tights, designer flats, and a puffer jacket on weekends. 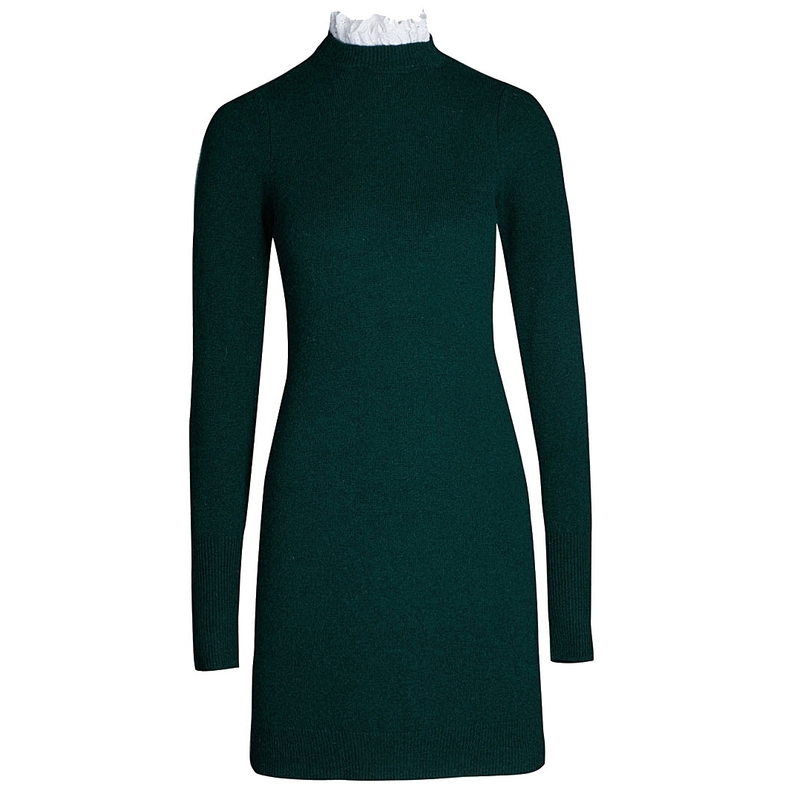 Combine it with leggings, sneakers, and a parka for an athleisure attitude.